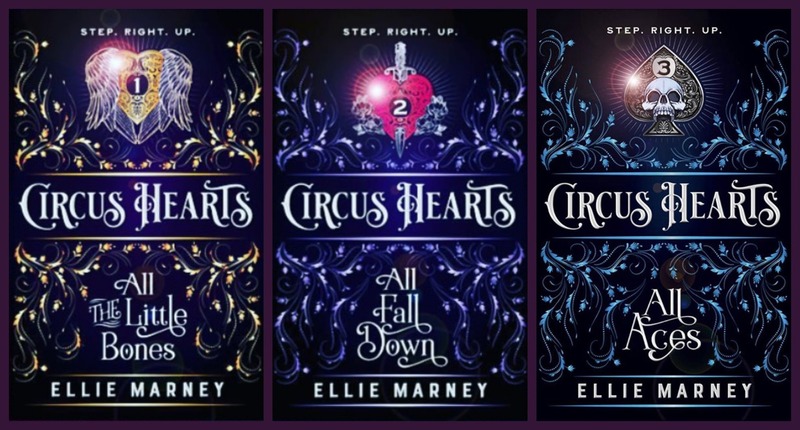 Dark YA romance with a criminal twist – Circus Hearts: Step. Right. Up. I was captivated with book one, All the Little Bones, from the first sentence up until the last. I adored the protagonist, Sorsha, and didn’t want the story to end. So, obviously I was super excited when the opportunity to read and review book two came along and I jumped at it. My residual ill feelings towards Fleur made it hard for me to get into the story at first. But once I got to know Fleur, it was all good, GAME ON. The second book has a thrilling Circus saboteur who-done-it feeling. With a friends to lovers type smouldering romance weaved through. And also a slight coming of age kind of vibe. With Fleur’s father injured and in hospital thanks to the saboteur, Fleur must run the circus, figure out who the saboteur is and what on earth is going on between her and Marco. Thankfully she has some great side characters to help her along the way. Sorsha’s still there in the background with her muscle man, Colm and Genie and Mitch are wonderful. Oh, and I can’t forget Marco, glorious Marco. Marco lights up book two like petrol on bonfire. Who would like this book: Fans of swoon worthy romance. #LoveOzYA aficionados. Anyone after a captivating and fast paced read. I think All Fall Down could stand on its own. But then you would be depriving yourself of meeting Sorsha and Colm, and trust me, that’s not something you want to do. Fast paced action. Hot romance. Circus life. What more could you want people. Do yourself a favour and check the series out. Bring on book three and the POV of Ren!!! 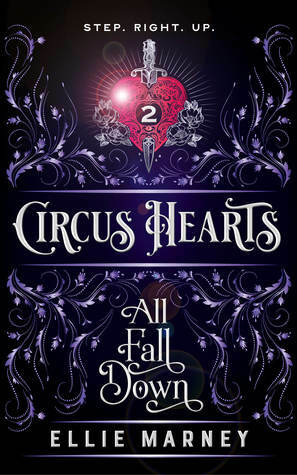 This entry was posted in Book Reviews: ALL, Book Reviews: YA only and tagged All Fall Down, All Fall Down (Circus Hearts #2) by Ellie Marney, Circus Hearts, Circus Life, Ellie Marney, Love OZ YA, LoveOZYA, romance, YA Fiction, YA romance by Sarah "SacaKat" Fairbairn. Bookmark the permalink. I am getting a copy of the first book! Your review made me want this series so bad!